The sun is out and summer is here. The last few days have been beautiful for getting out, but at the same time that sun causes damage to our skin and can age us faster. Facial treatments will help prevent that by repairing, calming and hydrating the face slowing down the aging process. The newest and best treatment I have is LED light therapy. Just purchased a new one that has new technology to further enhance your skin. Check for info below and call for your appointment now at 630 655 3345. Yes, we do need that sun that helps your body create Vitamin D. It is recommended that you sit in the sun for about 15 to 45 minutes depending on how light or dark you are to get your needed dose. Many ailments we have can be from a lack of this supplement. Some experts believe that excessive use of sunscreen is also the cause of Vitamin D deficiency. I, personally, do not use sunscreens. I had a bad experience with it years ago when it became popular. It burned my face. I was on the golf course and used my water bottle to wash it off and still had to wash it off more at the nearest restroom. I do take precautions with the sun. My main to go product is Pevonia’s Vitamin C Complex for my face, to help prevent sun damage. Using Vitamin C Complex at night helps to reverse sun damage. If I am going to be out for quite awhile, I take a powerful antioxidant Bio Astin Hawaiian Astaxanthin 12 mg before going into the sun, to help prevent sunburn. When I’m out at my grandson’s baseball games, I further protect myself by wearing clothing that covers me more, wear sunglasses, and sit under trees when they are around. Most sunscreens have toxic synthetic chemicals that are irritating to the skin such as oxybenzone, avobenzone, benzophenones,octyl methoxycinnamate, and more. These ingredients can increase your risk of skin cancer and because of the irritation factor, it does increase aging of the skin. Remember the Scientific Rule which states: The more you irritate the skin, the more it becomes inflamed, the faster you age, and the more you are prone to skin cancer. It’s also recommended that you DO NOT use spray sunscreens because of the risk to your lungs.If you burn easily, you might need to use a sunscreen. Look for a zinc oxide or titanium dioxide based formula that acts as a physical barrier. They just sit on the surface of the skin. There is much controversy about using non-nanotech or nanotech formulas. You choose. A safe one that I use and my family uses is Dr. Mercola SPF 50 sunscreen. Can be purchased on his website. This is my new LED light therapy unit. Phototherapy is known for its healing and anti-inflammatory properties. It can increase circulation, accelerate tissue repair, decrease wrinkles, improve texture, tone, and clarity, ease muscle and joint pain, stiffness, and spasms and kill acne bacteria and much more. Also helps with rosacea and redness. 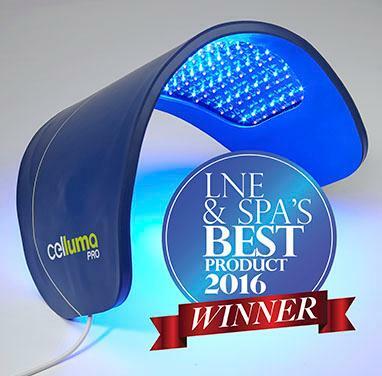 So with the summer sun, if you get sunburn the LED light therapy can help to heal that faster. Anti-aging products now account for close to $9.8 billion of the skin care market. That’s more than doubled since 1997. One of the major ways skin ages is through a loss of collagen. Collagen is a naturally occurring substance that helps keep skin looking plump, lifted, and line-free. We lose some collagen because of the natural aging process, but even more can be lost due to sun exposure and toxins in our environment. These exposures increase the rate at which free radicals are absorbed into the skin, where they attack and destroy collagen. When left unchecked, free radicals destroy the skin’s support structure. Once the damage is severe enough, skin sags and wrinkles form. That is one reason why the loudest anti-aging buzz right now is antioxidants ― nutrients that attack and disable free radicals before they have a chance to destroy our collagen and our skin. Some may even help increase natural collagen production. Antioxidants can reverse collagen damage, which means younger looking skin. Although research on topically applied antioxidant green tea showed it has strong anti-inflammatory and even anti-cancer properties, an 8-week medical study conducted at Stanford University was disappointing from a cosmetic perspective. The study failed to demonstrate anti-aging effects. More promising, however, were studies conducted, by David McDaniel, MD, of the Eastern Virginia College of Medicine on a number of other antioxidants. Specifically, McDaniel looked at the protective capacity of several topically applied antioxidants, including vitamins C and E, kinetin, alpha-lipoic acid, and idebenone. While all showed some benefits to the skin, McDaniel found idebenone to be the clear leader of the pack.A powerful micronutrient related to CoQ10, (another natural defender against cell damage) idebenone appeared to also provide a strong defense for skin. “Clinical studies thus far have shown that idebenone…quench[es] inflammatory reactions and… is a powerful antioxidant that destroys free radicals,” McDaniel recently told the Dermatology Times. According to dermatologist Bruce Katz, MD, however, many women cannot tolerate idebenone products. “It can cause redness and irritation in some women that makes it difficult to use,” says Katz, director of Juva Skin and Laser Center in New York City. He advises women with sensitive skin to check with a dermatologist before trying products containing idebenone.Some of the testing may have already paid off for an ingredient derived from the little known fruit called the coffee berry that some now hail as the strongest antioxidant ― and possibly the most powerful anti-aging ingredient ― to date. The same plant that bears the fruit of your Starbuck’s buzz, may also add a kick to your complexion. Coffee berry is gaining in popularity, and it contains high levels of antioxidants. Coffee berry was introduced to doctors at the 2007 American Academy of Dermatology annual meeting. Since then, new research and a handful of products have been launched. The first coffee berry product ― a skin cream called Revale ― has already hit the market. AOne is Estee Lauder’s new “Future Perfect” line, boasting a “skin recharge cocktail” that offers the anti-aging protection of an antioxidant known as NDGA that occurs naturally in the body. Recent studies have shown that, when applied topically, it may act somewhat like estrogen, helping to prevent the loss of collagen in skin. Clinique’s Continuous Relief Antioxidant Moisturizer boasts eight antioxidants. At least one ― Eukarion-134 ― supposedly has the unique ability to recycle itself after each free-radical hit. This is significant because most other antioxidants lose their protective power after attacking and disabling a single free radical molecule. By recycling itself, this new antioxidant keeps on working, continuing to fight the damage that leads to aging, for a longer period on the surface of skin. Bearing a slightly more scientific pedigree are ingredients known as “peptides.” The frenzy actually began several years ago when the National Institutes of Health funded studies on wound healing. These studies showed that a chain of five peptides could instruct the body to ratchet up collagen production in response to wounding. More recently, smaller studies found that when applied topically, this same peptide chain seemed to respond to aging, collagen-deficient skin as if it were wounded and so encouraged collagen production.While the level of activity is still under debate, the next generation of this technology ― known as tripeptides ― is already here. “These are designer peptides,” says Beer, who describes them as “groups of amino acids” that inhibit some of the natural enzymatic ― and yes, aging ― processes that break down and destroy critical components of youthful skin, including collagen. “By providing stability for these and other critical components,” Beer says, “[tripeptides] tip the scales in favor of remaining more youthful and less damaged.”Lumene, a Scandinavian company exporting moderately priced skin care to the U.S., is counting on that. They combine tripeptides with the antioxidant properties of sea buckthorn oil, for their new Premium Beauty line ― with research they claim proves it works. The much more costly Osmotics Anti-Radical Age Defense Line offers a tripeptide formula that not only has antioxidant properties, but also claims to stimulate collagen production. Narins continues to site a lack of published medical data. Schlessinger is even more blunt. “Cosmeceuticals can do some wonderful things for the skin,” he says, “including diminishing brown spots, improving texture, and making the skin feel smooth again. But filling in wrinkles ― I don’t think so.”Until published medical studies do surface, it may be up to consumers to decide for themselves if even the cosmetic results have merit.One more class of products offering new hope in a jar takes the sci-fi approach of tinkering with DNA to turn back the clock one molecule at a time. One such product is called “Remergent.” Sold through doctor’s offices, Remergent reportedly works by delivering to cells small packets of enzymes with the capability of repairing DNA. When DNA, the basic component in all living cells, is damaged ― whether by too much sun exposure, or through the chemical assaults of pollution ― cells undergo changes that can result in anything from accelerated aging to disease, including cancer. For ages Indian women have relied on natural ingredients for skin care. Indian spices have always been an important part of beauty for most women. Indian Spices often are available organically and they are very therapeutic for overall health, including skin. Most Indian spices are rich in antioxidants and offer several amazing skin benefits. Canela – help its anti -bacterial properties to get rid of blackheads. If you have spots on your face, the mix with honey and cinnamon paste on the face. You will see a noticeable difference within days. Turmeric – It is an excellent remedy for dark spots, blemishes, hyperpigmentation, acne, blackheads and skin disorders like eczema and psoriasis. It is also an excellent remedy for dry skin and improves skin elasticity. Mixed with other ingredients such as milk, chickpea flour, rice flour, which acts as a good cleanser and scrub. Nail – Nail has antimicrobial properties, which make it a very effective cleaning product. Clove oil is an important product in various skin care ingredient. To reduce staining, grind some cloves, a little water and apply the paste on the affected parts to results within a few days to see. Black Pepper – Black is known for its ability to get rid of blackheads get and let a known with a flawless complexion. It works as an excellent exfoliant. Mix black pepper with yogurt and apply on blackheads and other ugly parts. To wash a few minutes. Cinnamon – A common ingredient in water baths and massages, which is another effective herb used in beauty treatments. A pinch of cinnamon on the skin can do immense good. Fennel – Helps irritation and redness of the skin. It also helps to minimize the damage caused by sunlight. Make a paste of fennel seeds and apply gently on parts sunburn relief. These Indian spices are your regimen of skin care at every step. If your face to lift, peel or want to wear a mask to clean, you can achieve the desired results in the shortest time with the use of appropriate spices results. Fill your wardrobe with these spices – not only to put in your kitchen, but also a flawless skin to show. Learn more about the importance of facials and natural skin care products, please contact Skin Care Plus. We use and recommend the best natural and organic skin care products available. We also offer other skin care treatments that can help with anti-aging and overall skin health, including the best facial in the greater Chicago area, including Batavia, Geneva, and St. Charles. Studies show drinking a glass of red wine everyday can help improve skin health. Rich in reservatrol, red wine acts as a great source for anti-aging and overall beauty benefits. The antioxidant is believed by many to help slow the aging process, protecting skin from the effects of free radicals, harmful pollutants, and dangerous sun exposure. With each of these youthful hazards helping to bring on fine lines and wrinkles faster, reservatrol helps to act as a barrier, protecting the collagen that keeps skin firm, tight and healthy. Grape seed oil is great for acne fighting, and a source for Vitamin E. This hydrating vitamin, coupled with anti-inflammatory and fatty acid properties help to keep skin free of clogged pores and thus free of breakouts. Grape seed oil can be used not only for skin, but also hair. The nutrients can help to promote hair growth, strengthen tresses, as well as keep scalp clear and dandruff free. Simply massage into scalp as well as ends or even use a microwaved warmed version in a hot oil treatment to act as a hydrating sealant. Looking to get the powerful potency of reservatrol in a beauty product? Try the Celle Advanced DNA Rejuvenation Cream. For $350, this skin treatment challenges the signs of ageing. Its chemical-free formula promotes dermal health down to the DNA level. Celle harnesses the power of resveratrol to protect and repair damaged skin both before and after UV and environmental exposure. The Cellular Skin Treatment produces dramatic improvements in tone, texture and elasticity to create a younger, healthier appearance in just 21 to 30 days. In excess, alcohol dehydrates the body, which can promote aging and wrinkles. As usual, moderation is the key to success.